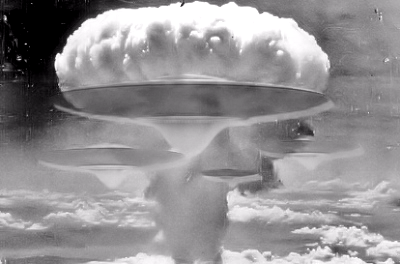 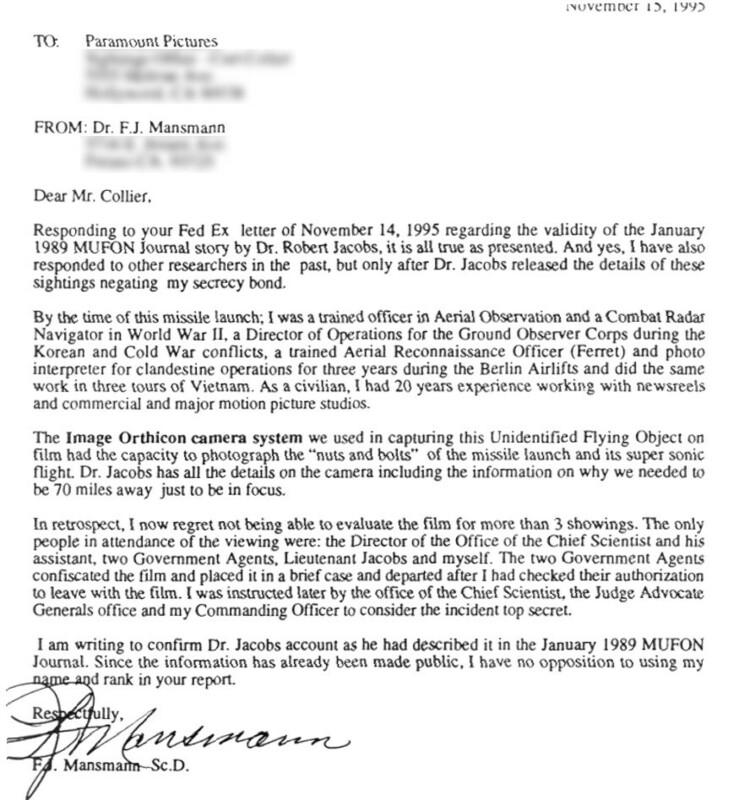 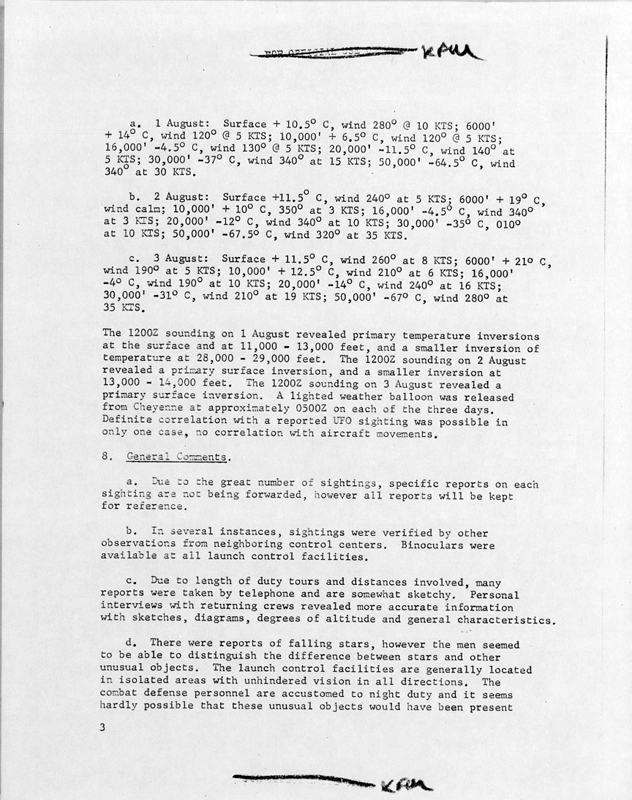 On September 27, 2010, a former U.S. Air Force ICBM launch officer, Captain Robert Salas, and I sponsored the “UFOs and Nukes” press conference in Washington D.C., during which seven U.S. Air Force veterans described various UFO incidents at nuclear weapons sites. 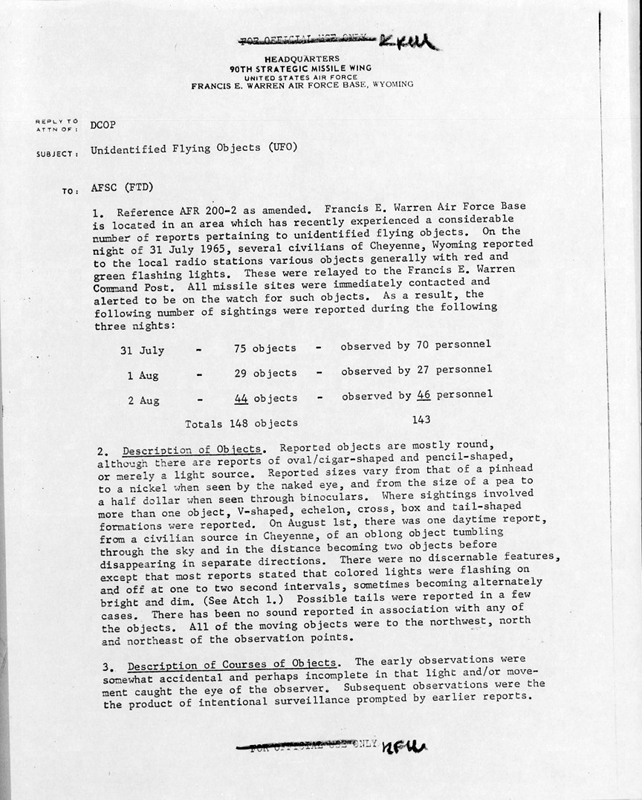 CNN live-streamed the event and the full-length video may be viewed at www.ufohastings.com. 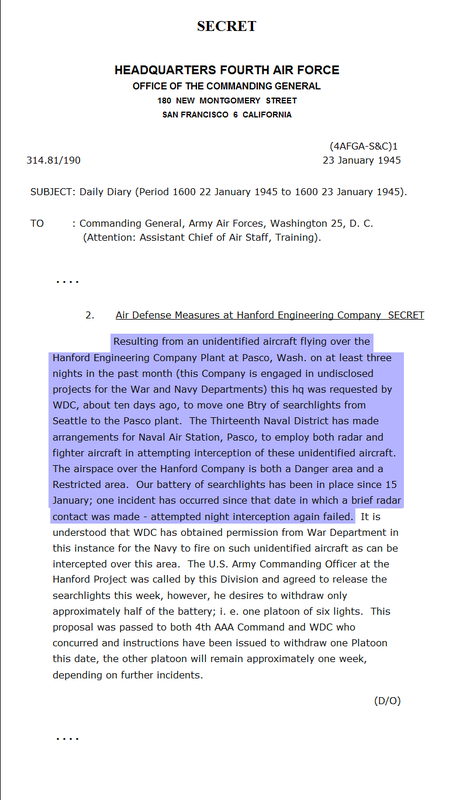 ● December 1944-February 1945 / UFOs sighted and tracked on radar at the Hanford plutonium-production plant. 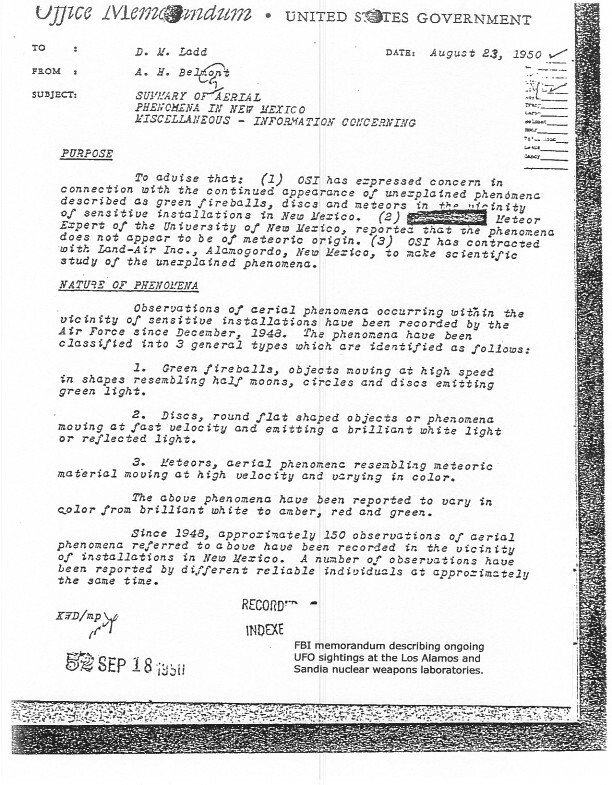 ● September 15, 1964 / The Big Sur Incident—Deep Denial or Disinformation? 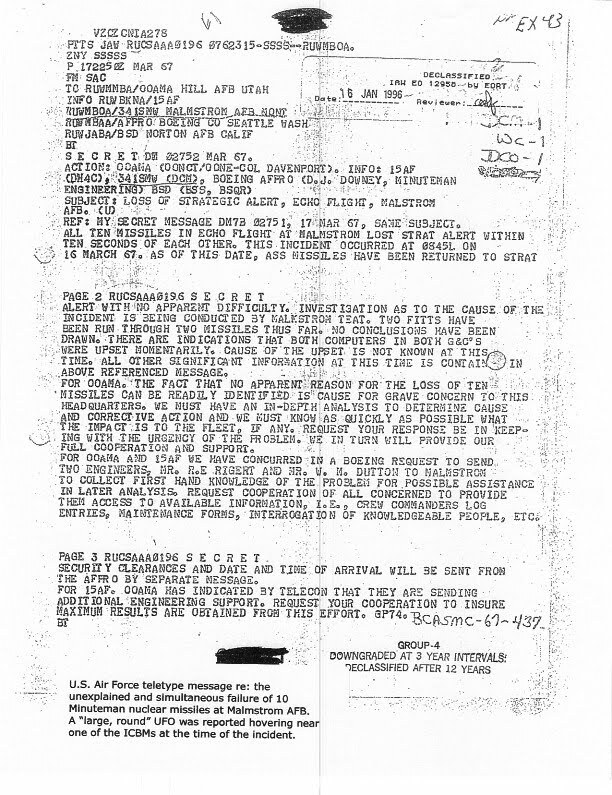 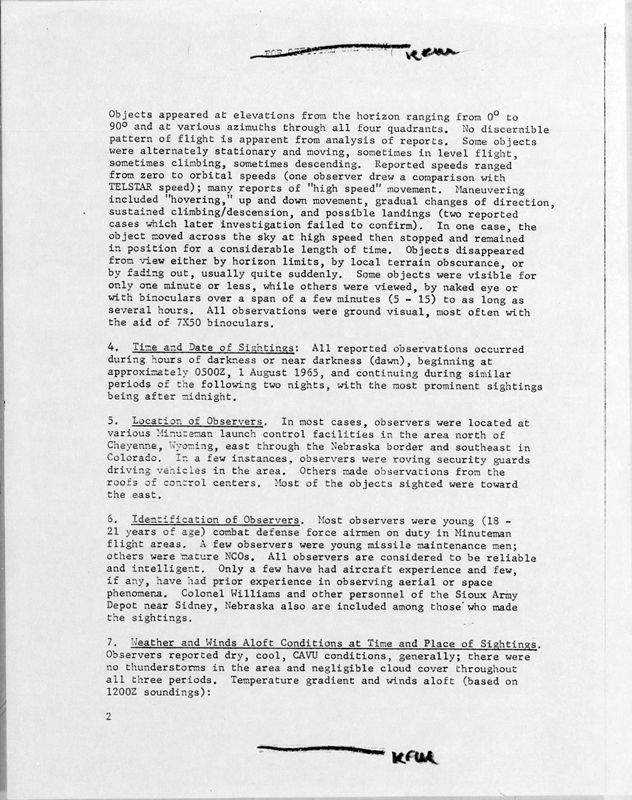 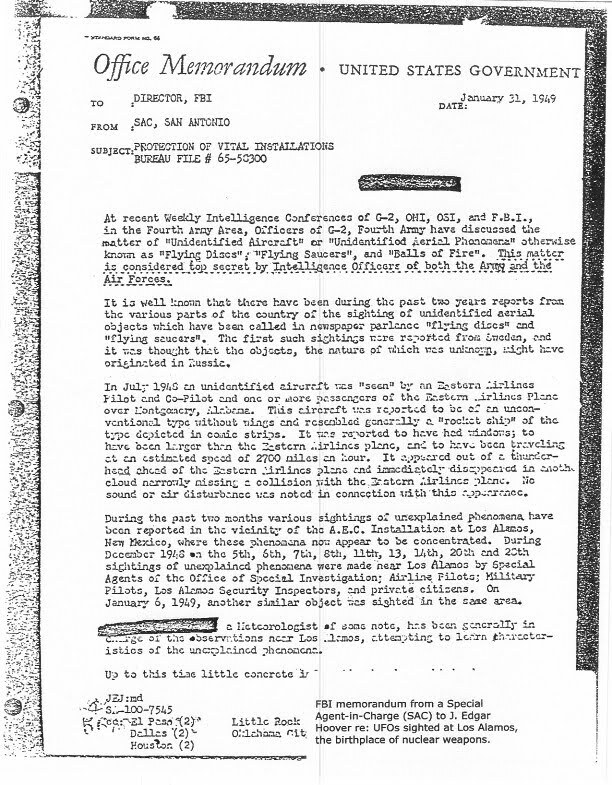 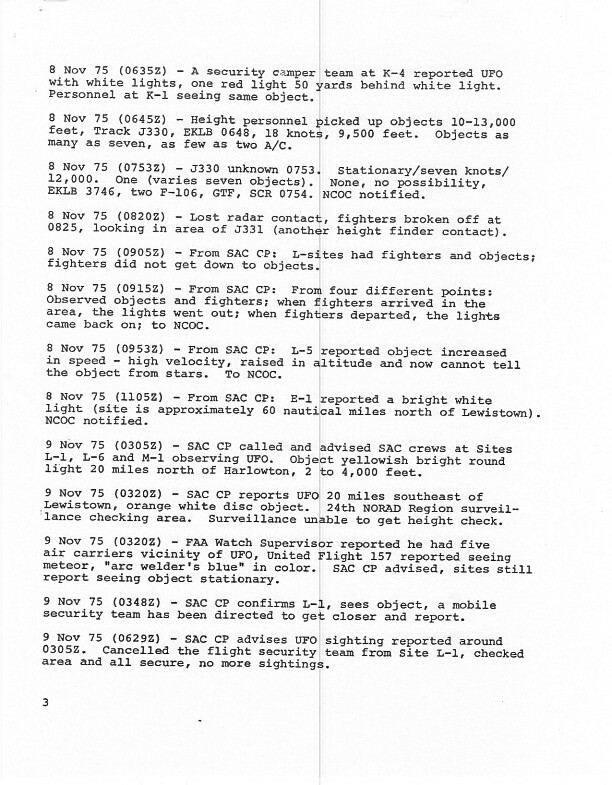 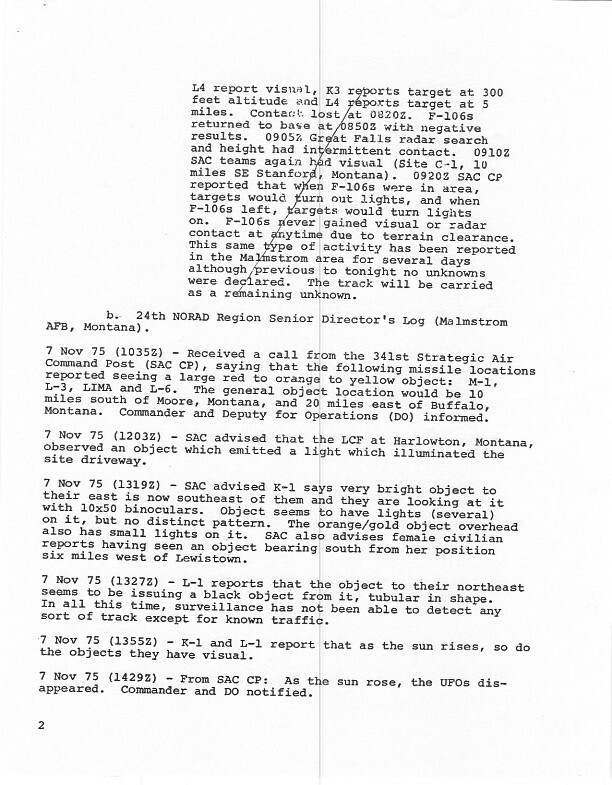 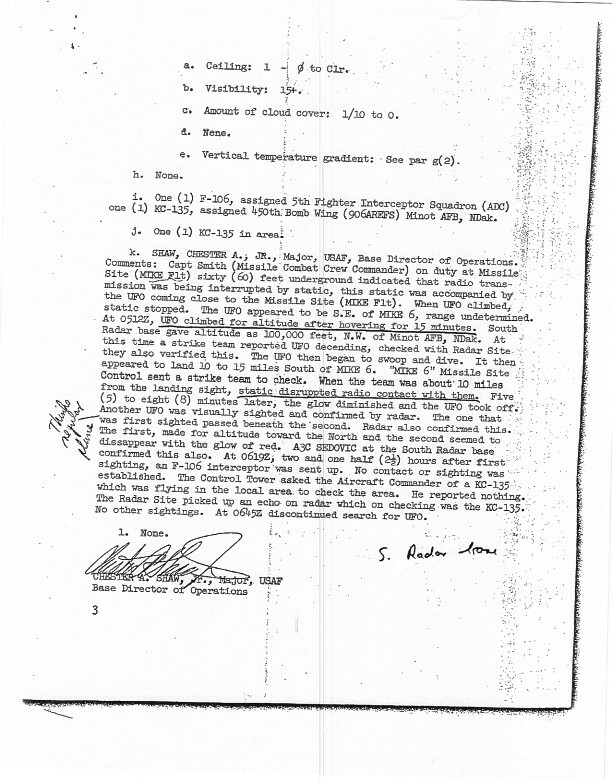 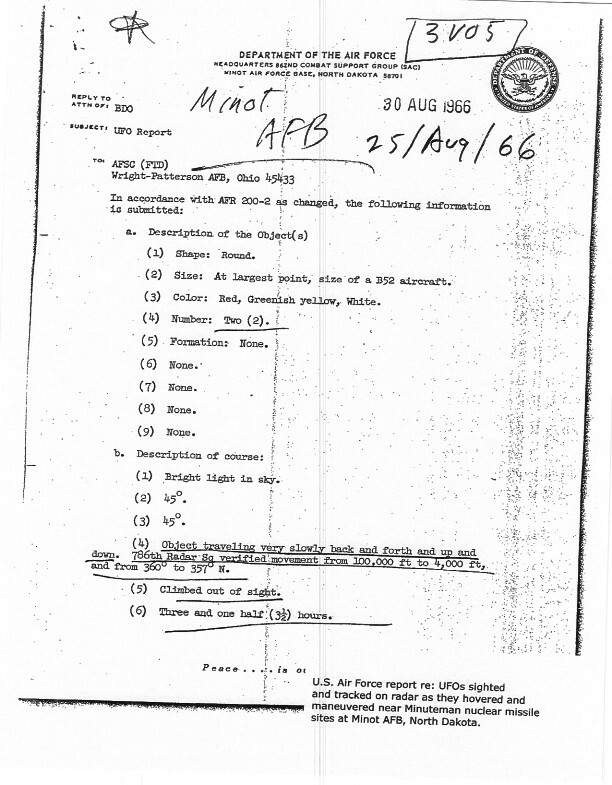 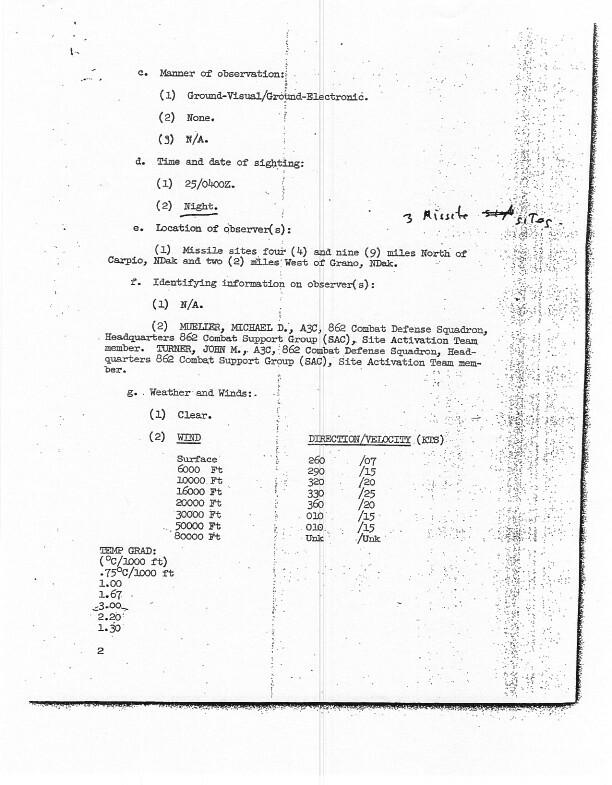 ● Summer 1966 / UFO Hovered Near Missile Launch Control Center at Minot AFB—Retired Officer Says Several ICBMs Dropped "Off Alert"
● 1966 / Launch in Progress! 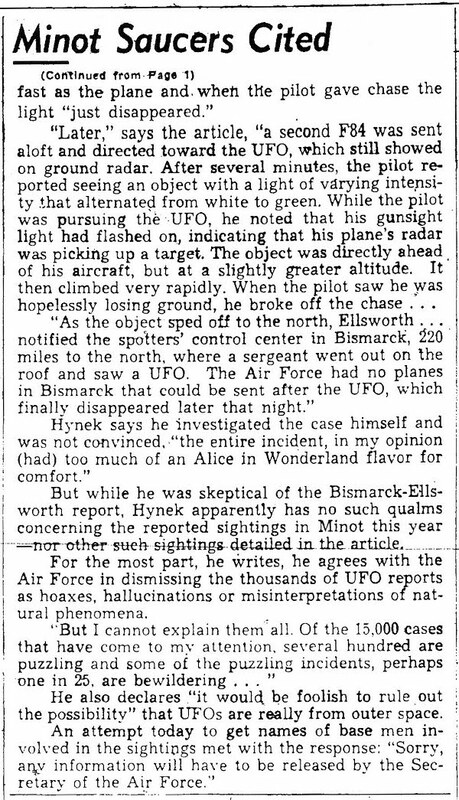 ● 1966 / UFO Buzzes ICBM Launch Capsule at Minot AFB—The Commander's Control Panel "Lit Up" Indicating Missiles Away! 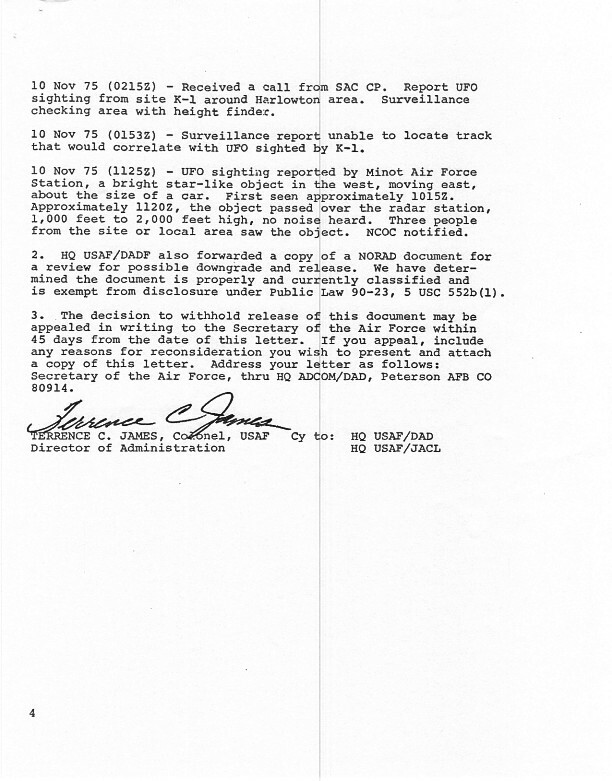 ● Spring 1974 / Former U.S. Air Force Missile Launch Officer Says a UFO Activated One of His ICBMs—Twice! 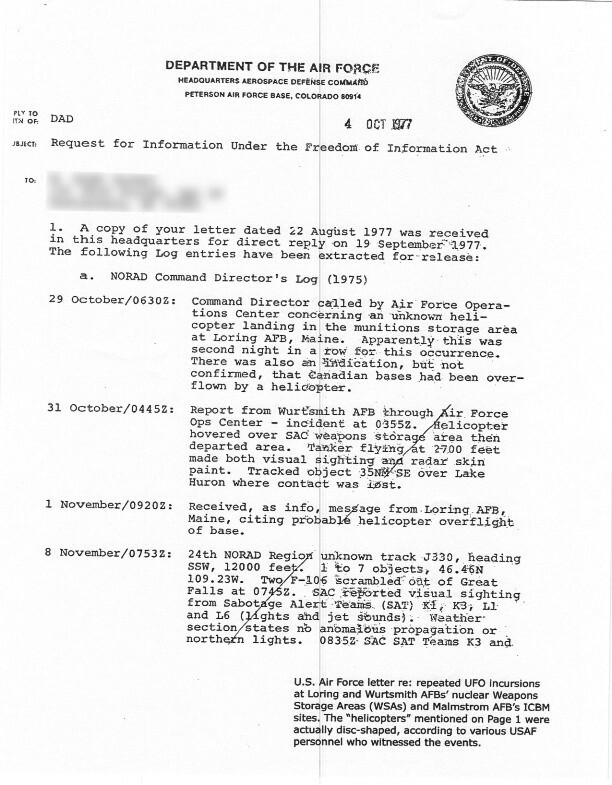 Repeated UFO Activity Reported at Oakridge Atomic Energy Installation - Radar Jammed, Interceptors Scrambled!